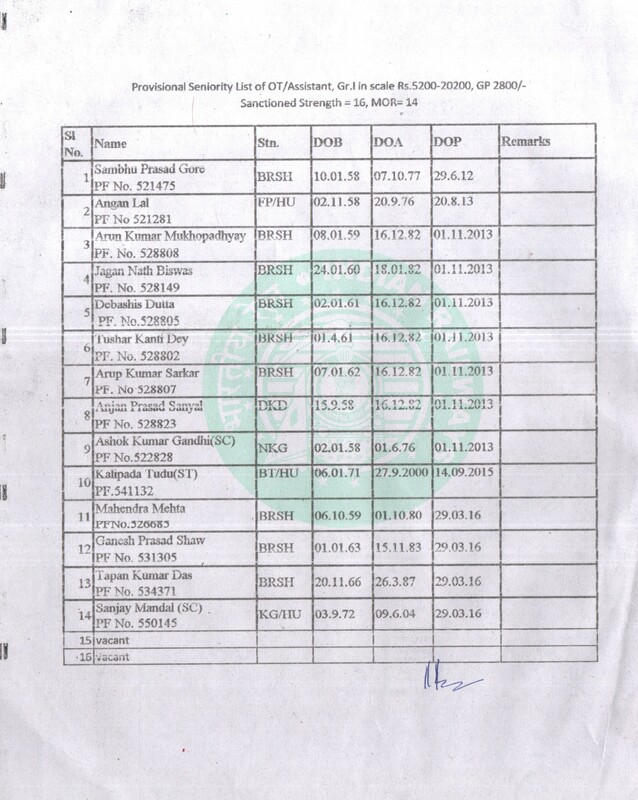 Seniority List Power Wing OED Tech. 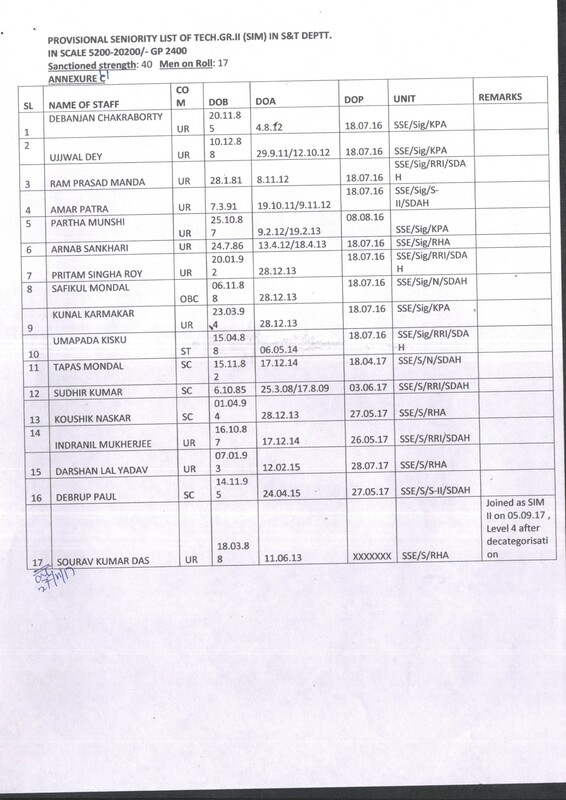 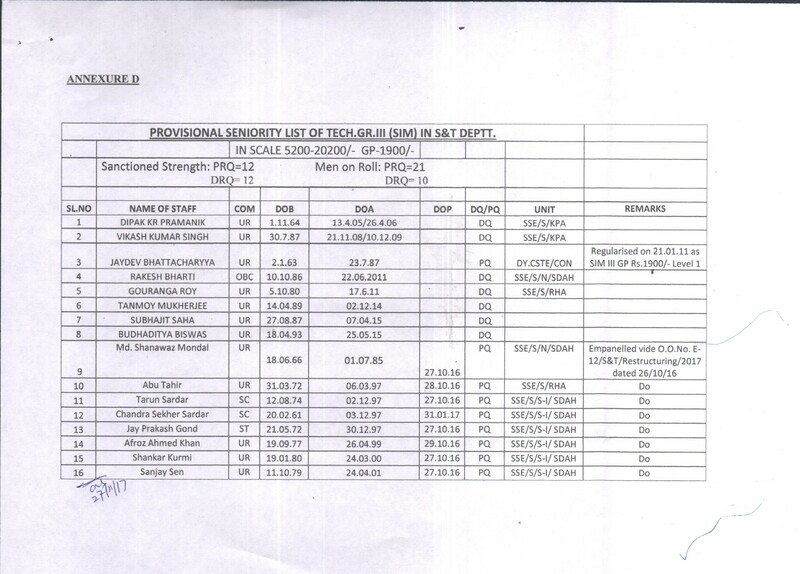 PROVISIONAL SENIORITY LIST OF SR. TECH. 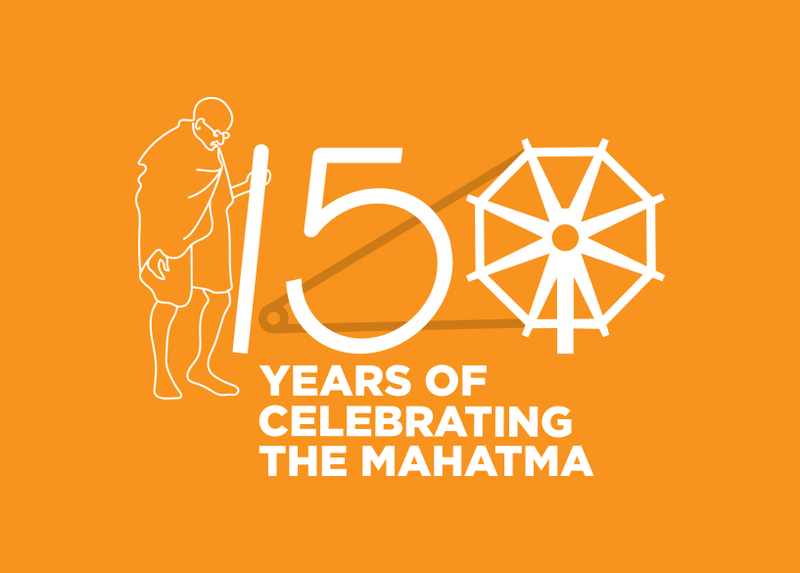 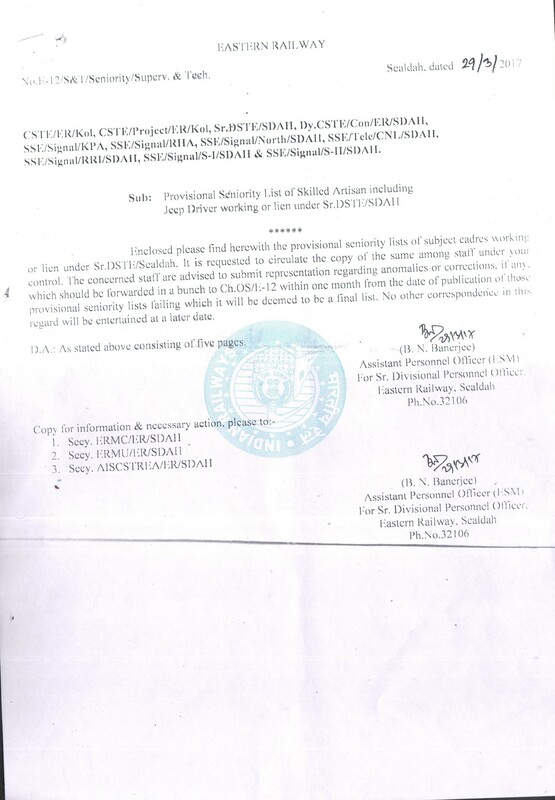 (FITTER) IN SCALE RS.9300-34800/- (GP-RS.4200) IN SEALDAH DIV. 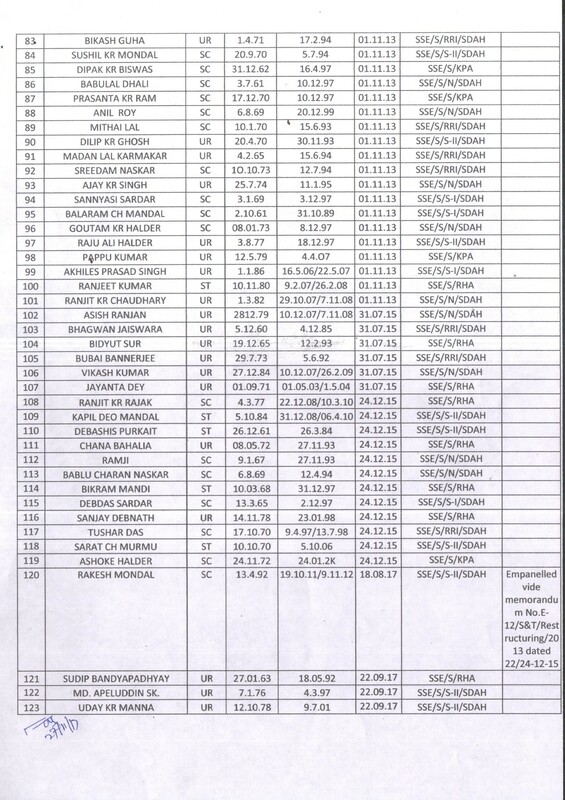 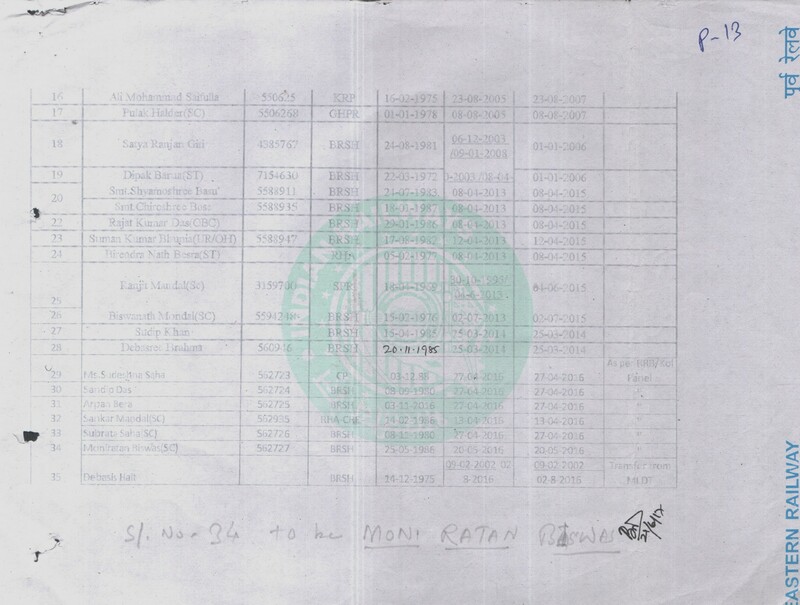 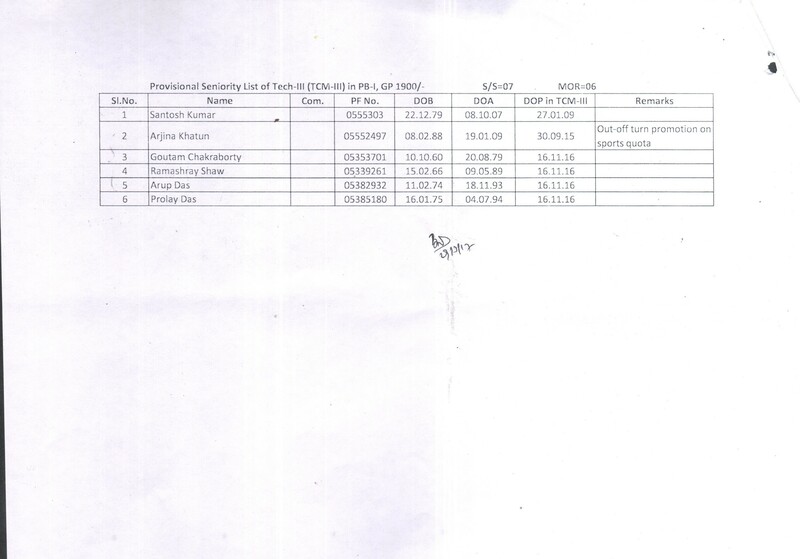 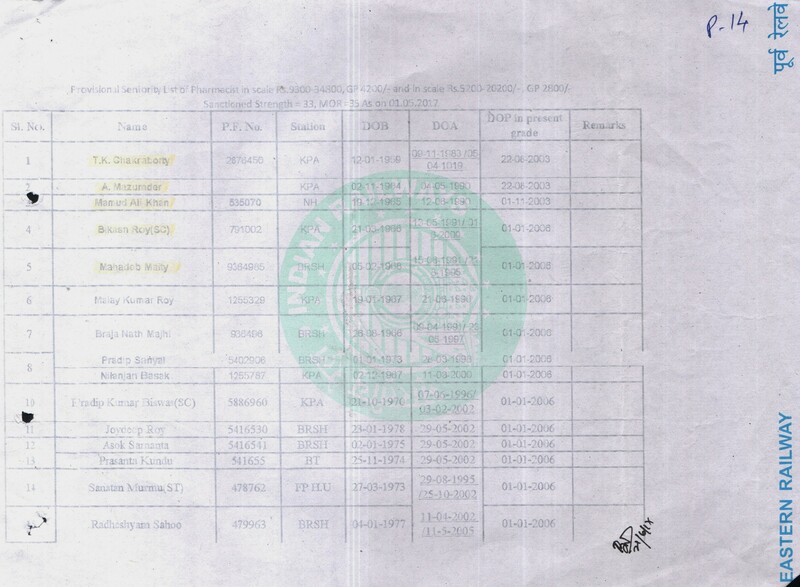 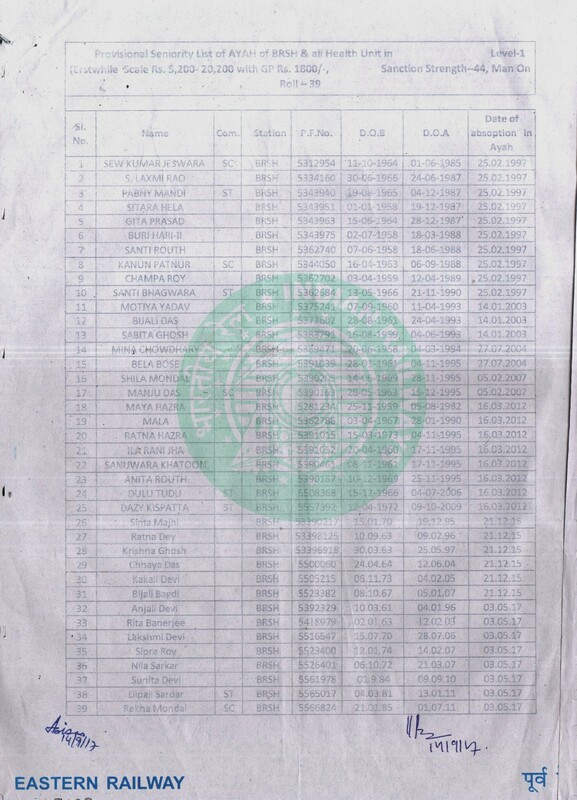 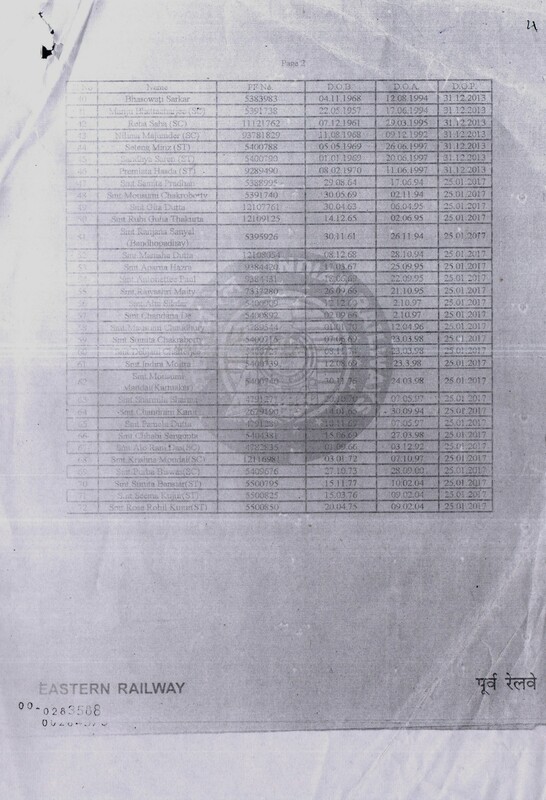 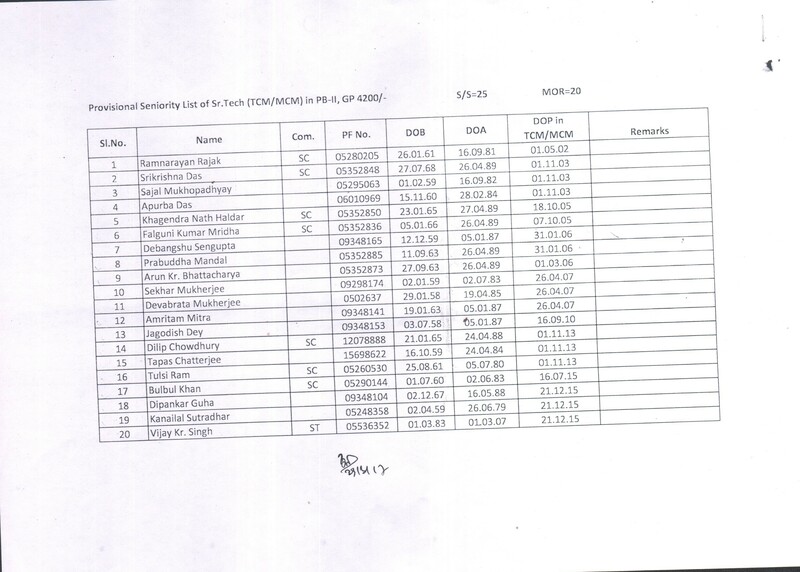 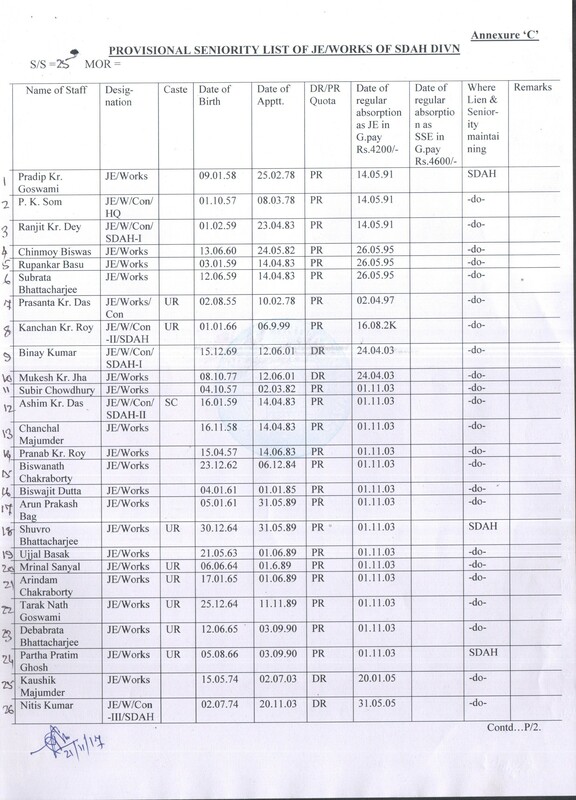 PROVISIONAL SENIORITY LIST OF TECH GR.II (FITTER) IN SCALE RS.5200-20,200/- (PB-I) (GRADE PAY RS. 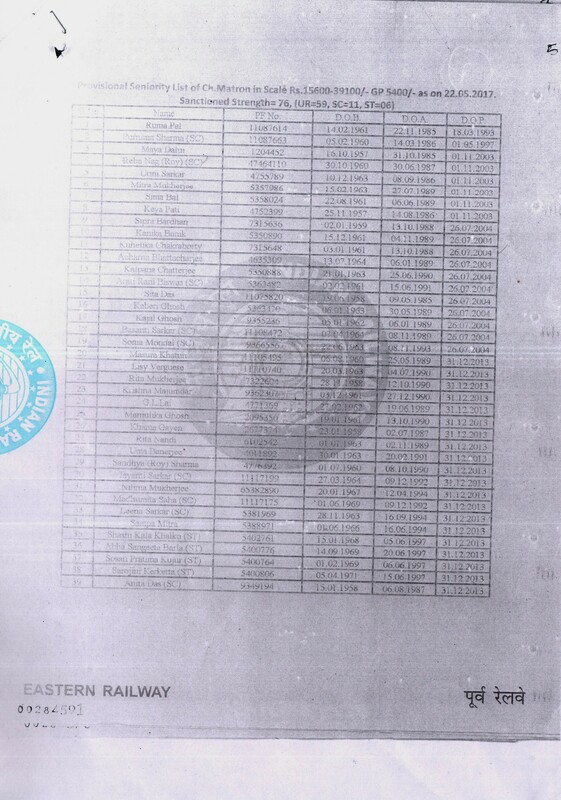 2400/-) W.E.F DT. 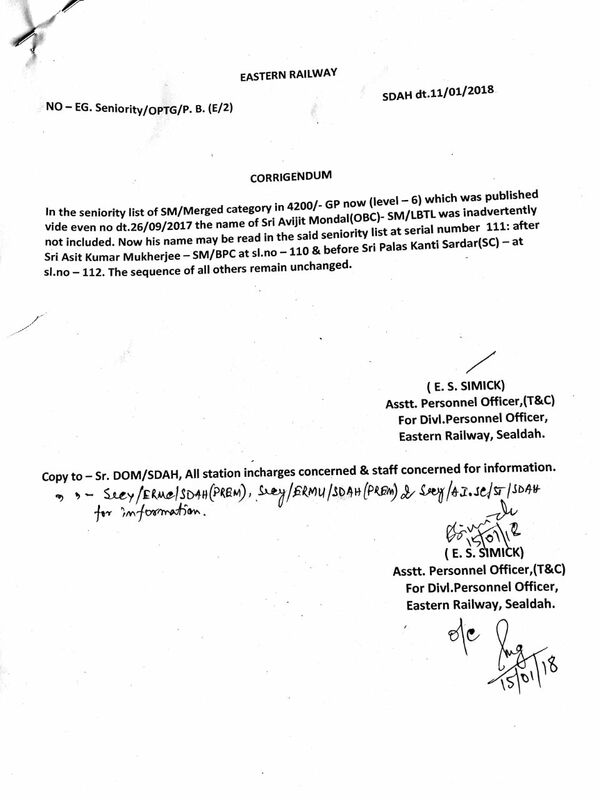 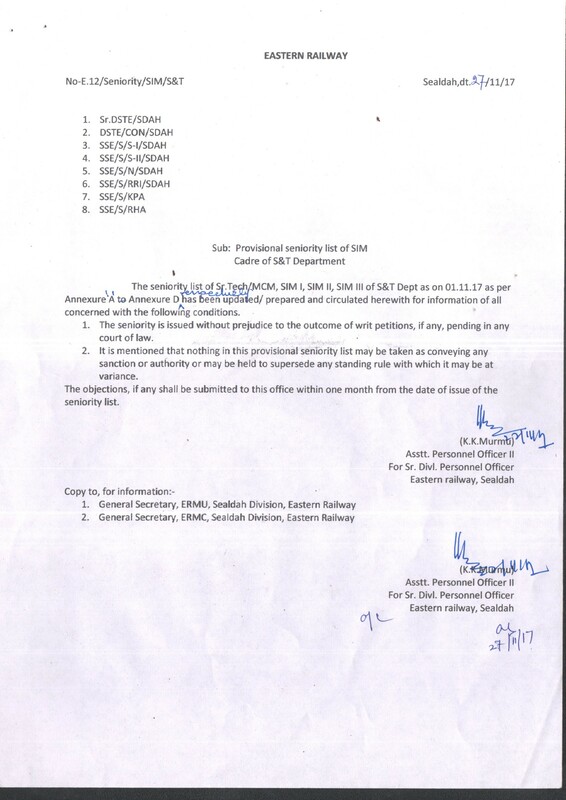 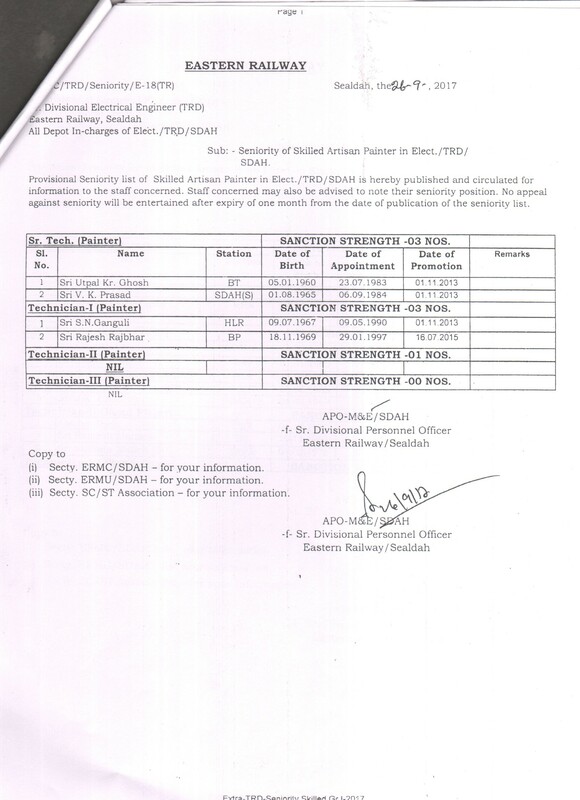 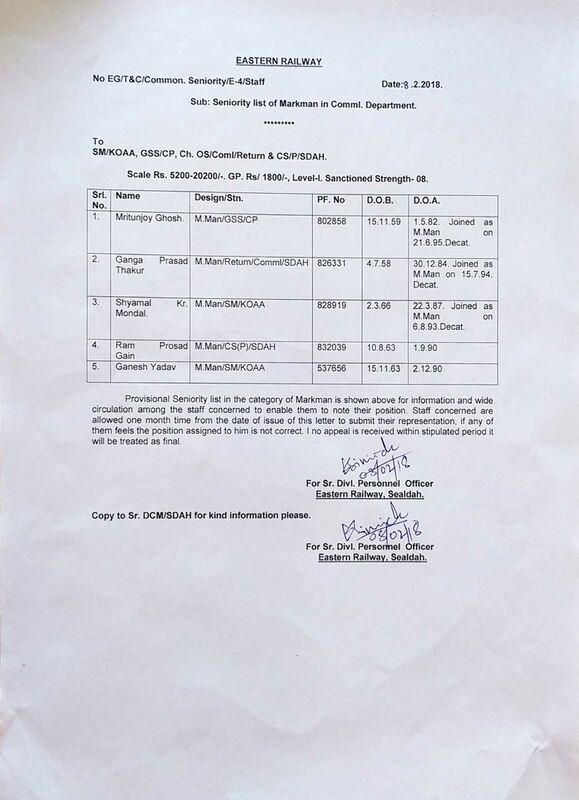 01.09.2015 SANCTION STRENGTH -321. 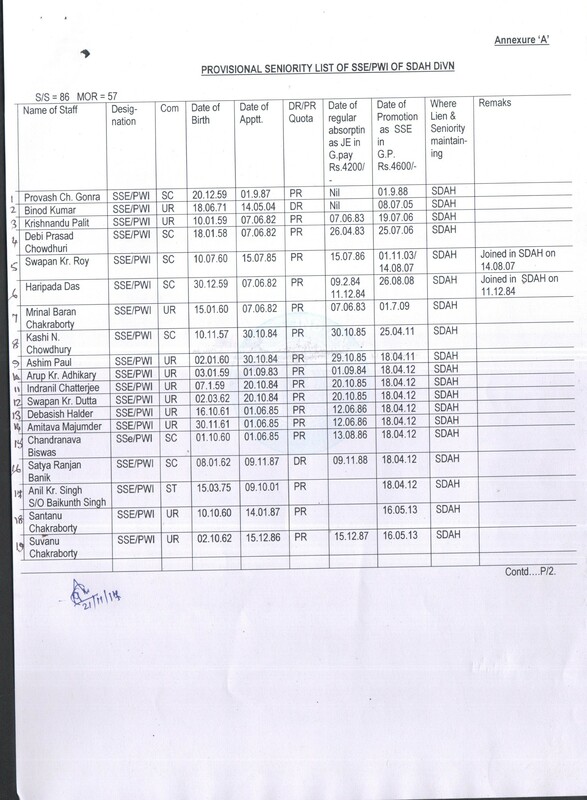 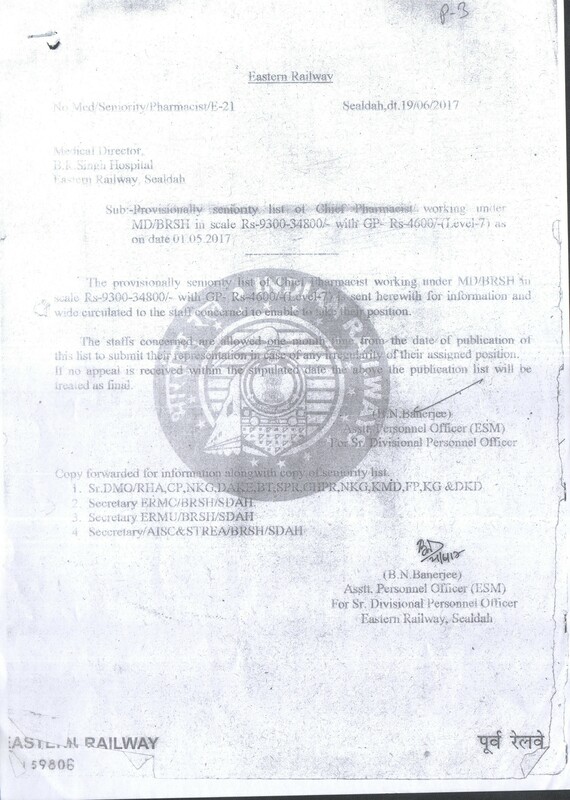 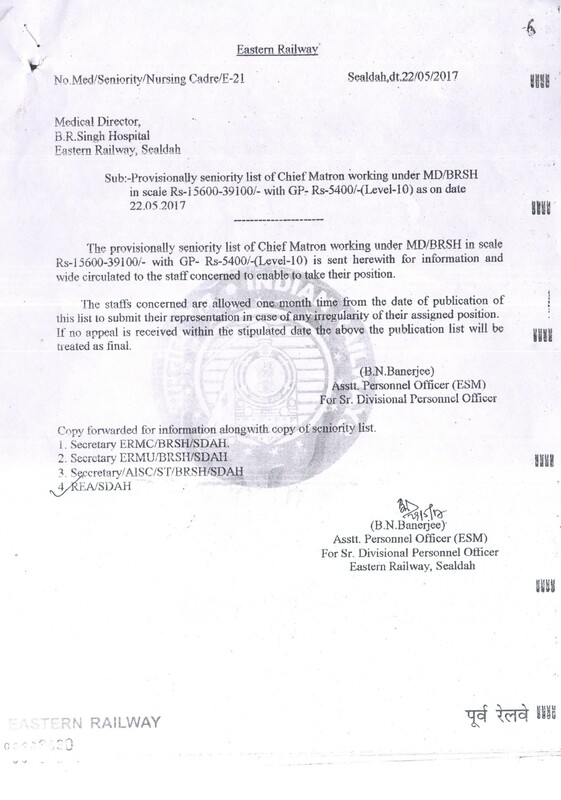 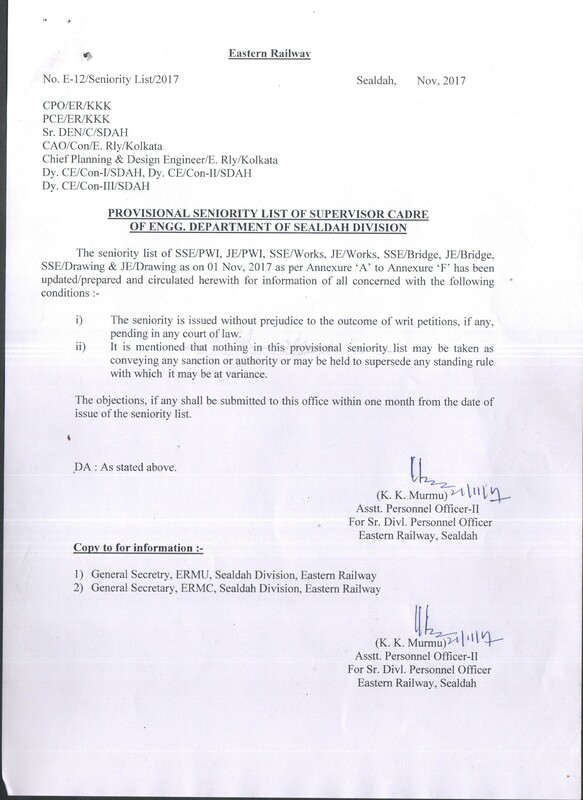 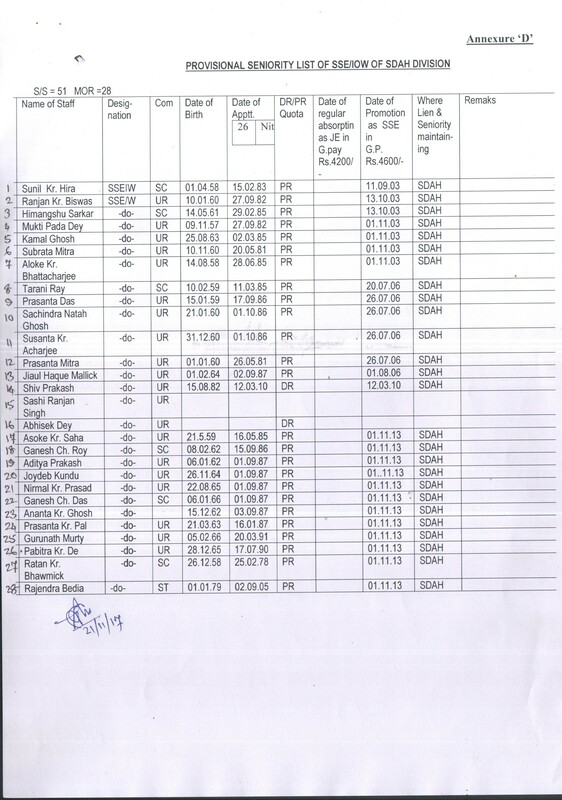 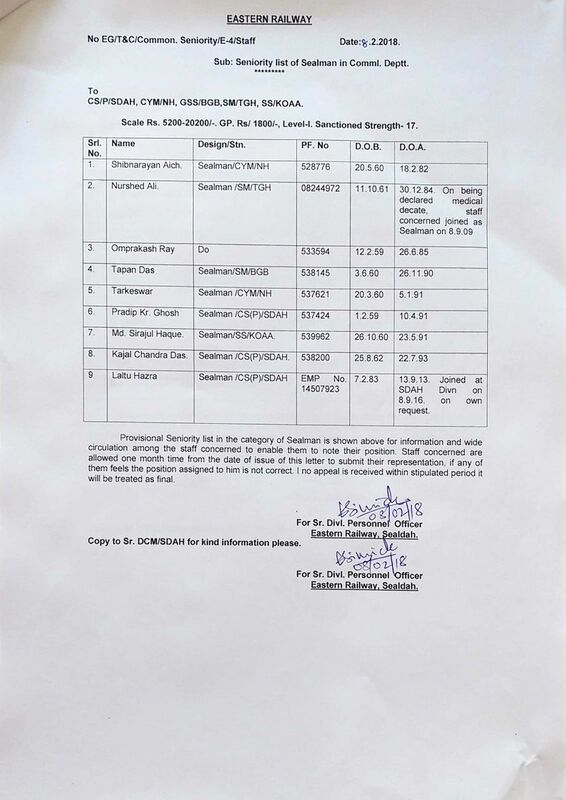 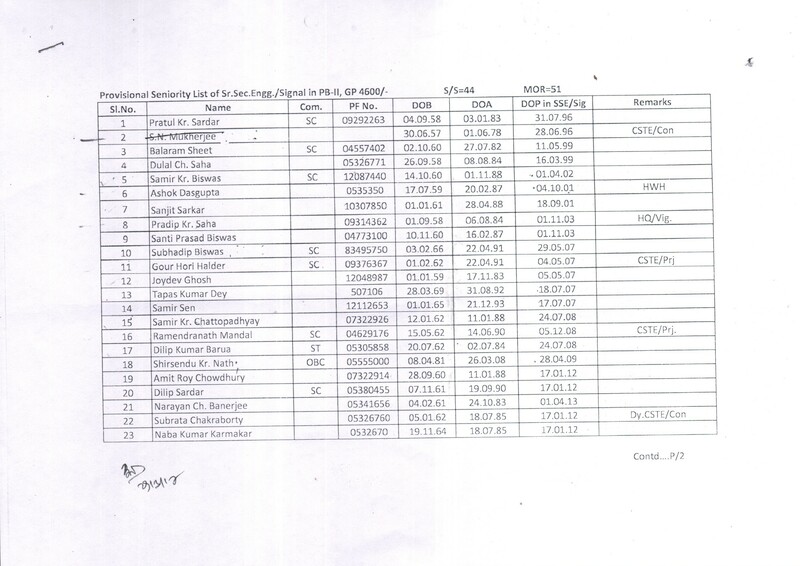 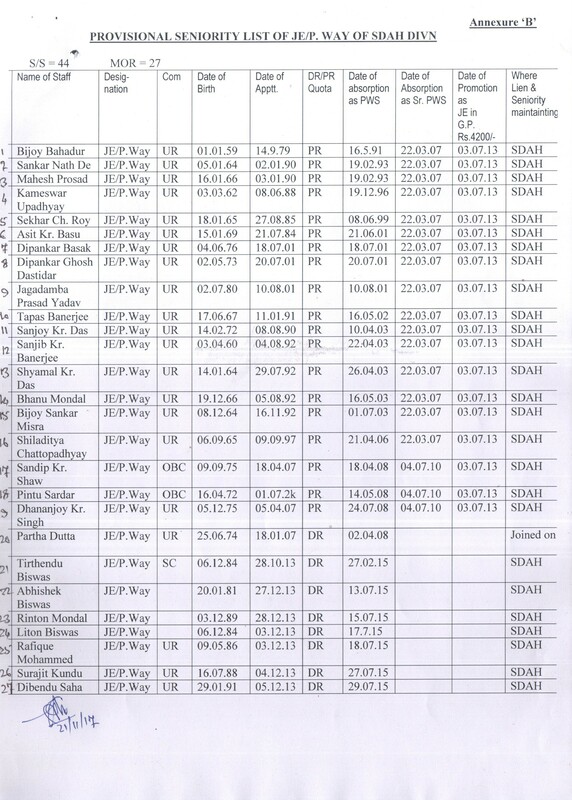 Provisional Seniority of Welder in Mech(C&W) Deptt, of Sealdah Divn. 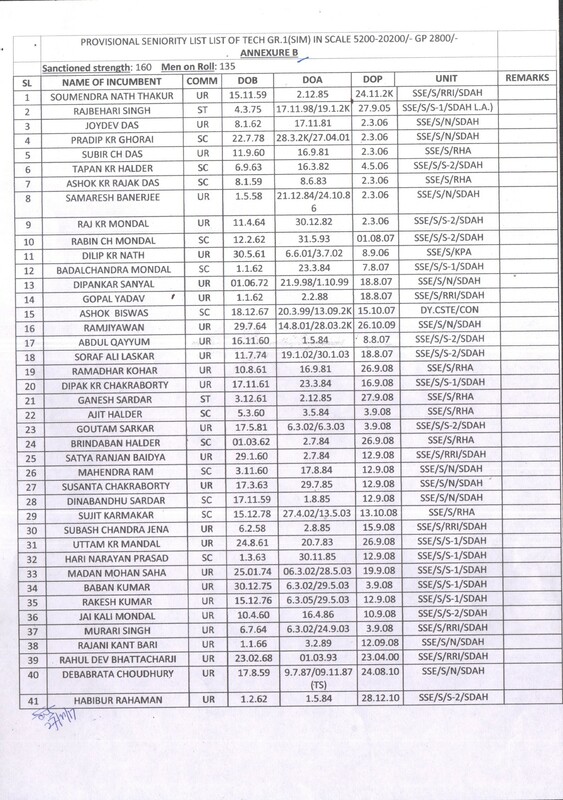 Provisional Seniority list of Ch.TNC in 9300-34800 and Sr.TNC in 5200-20200 scale. 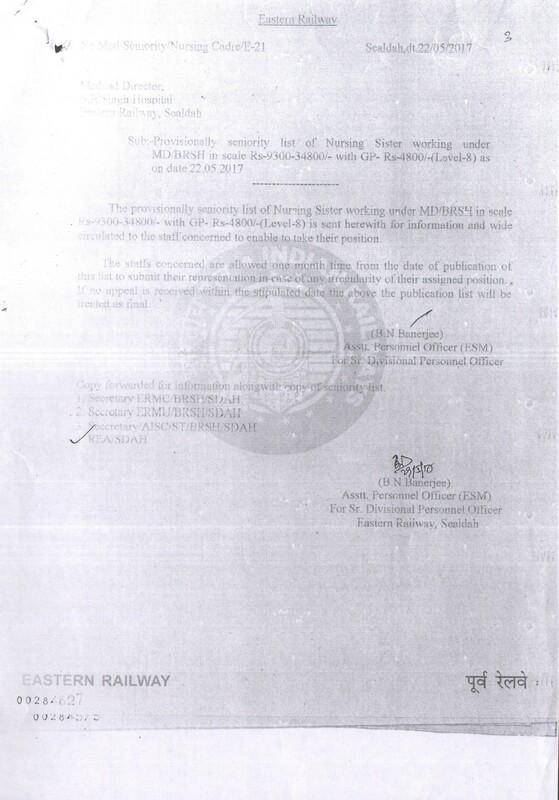 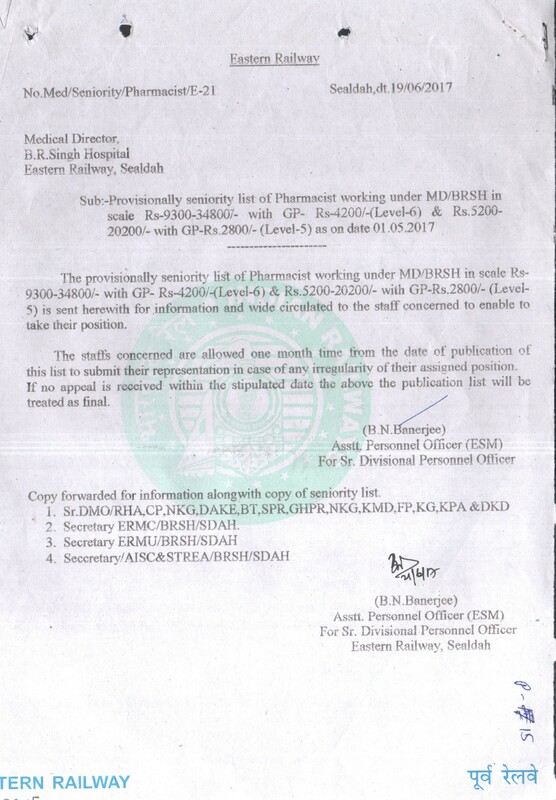 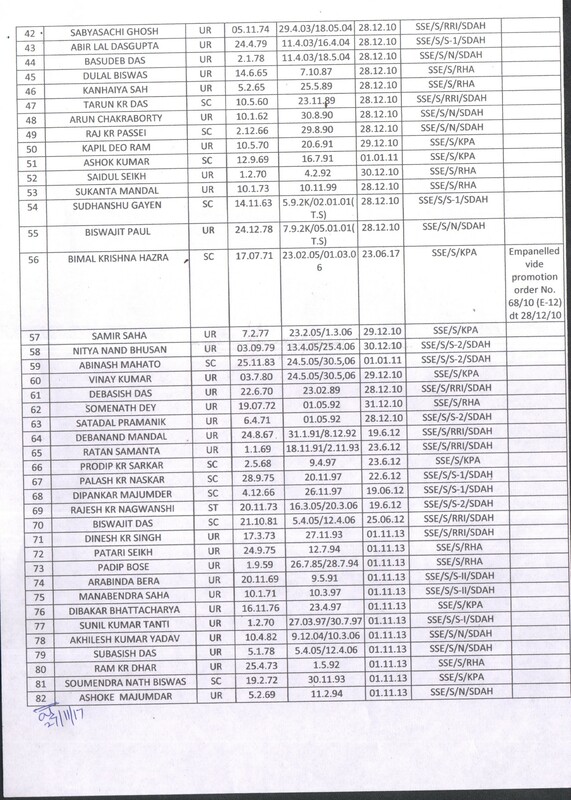 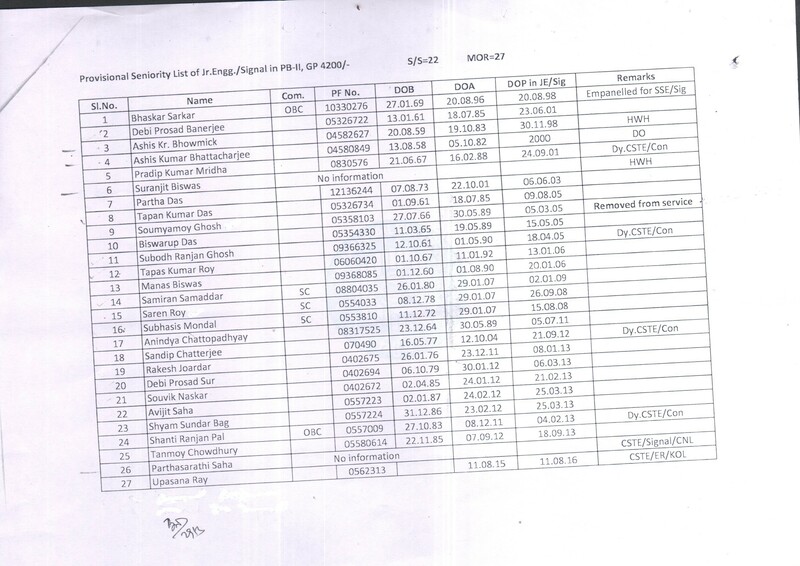 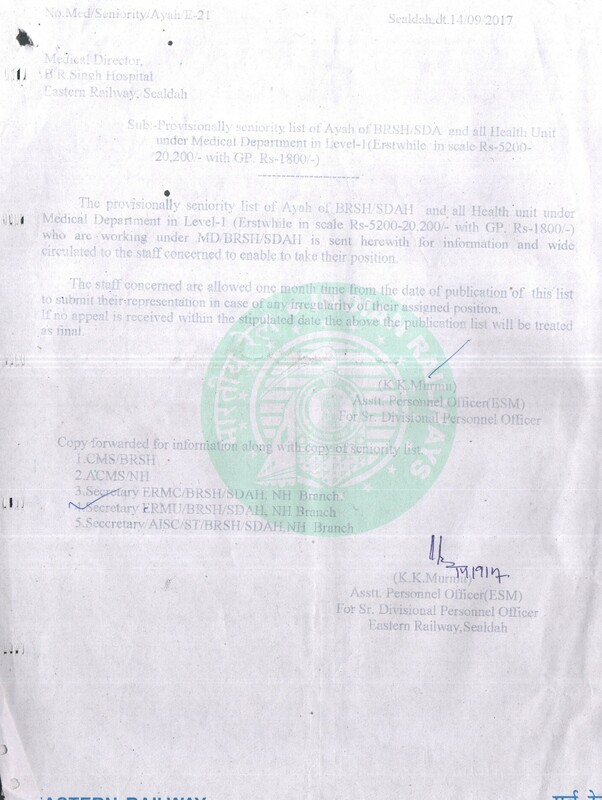 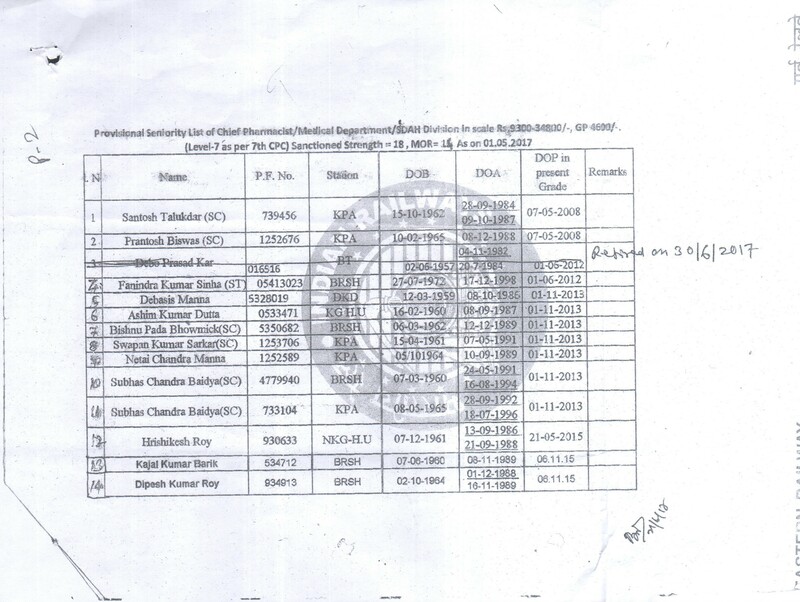 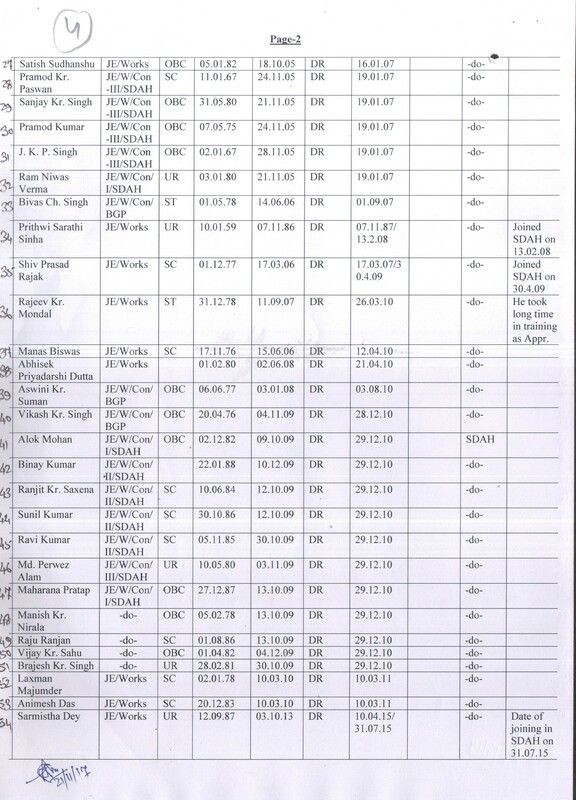 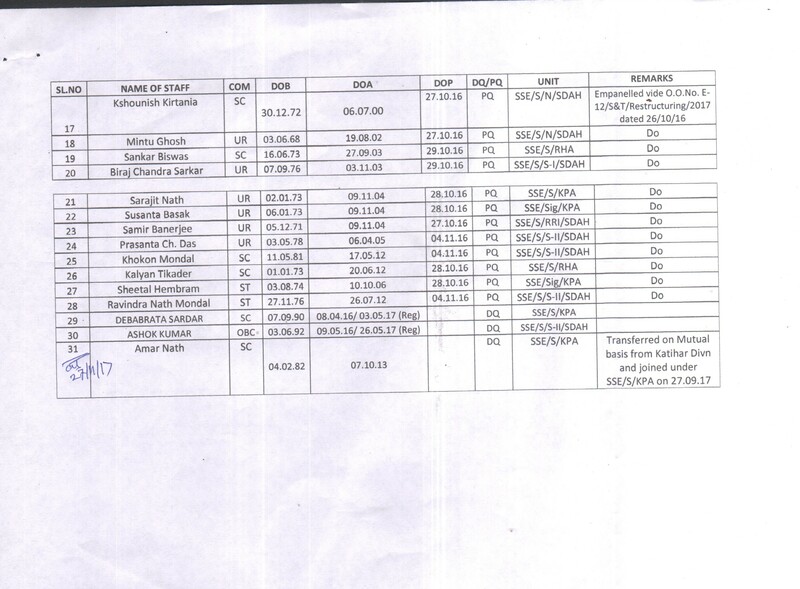 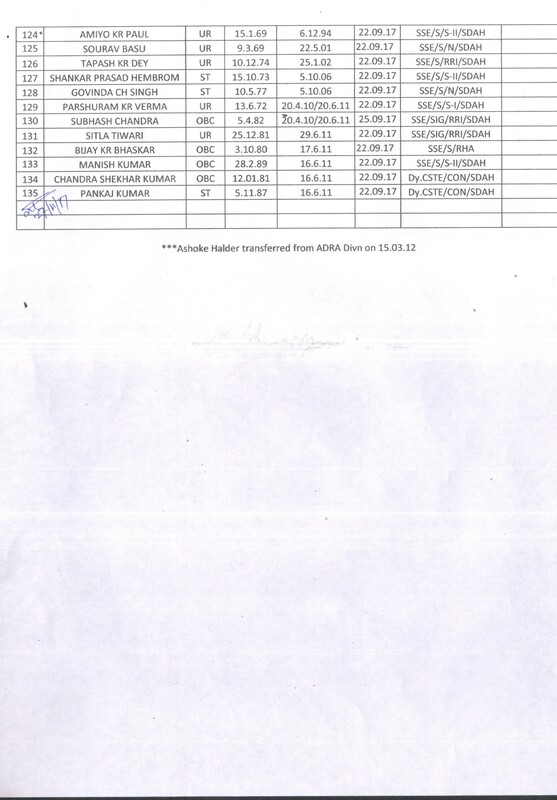 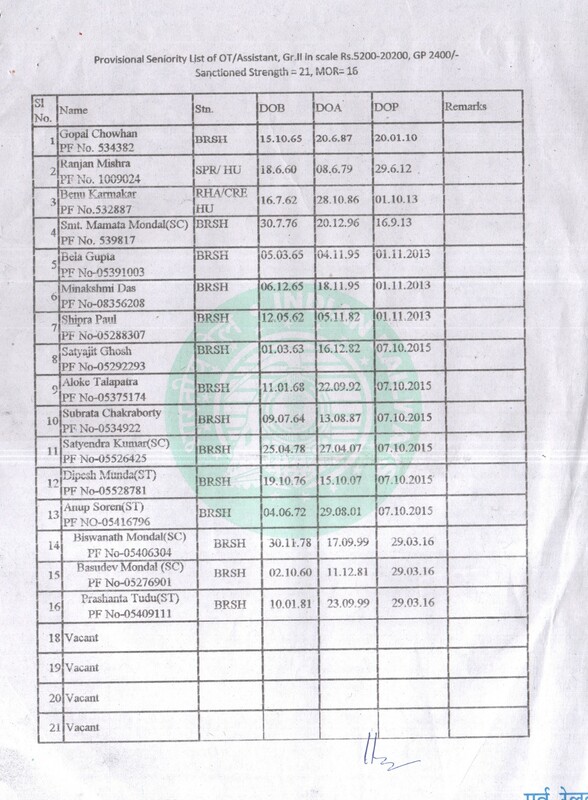 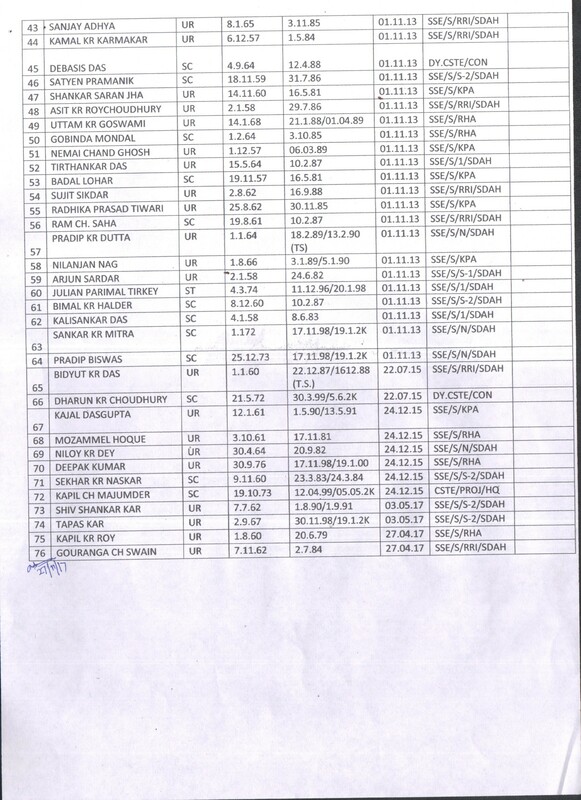 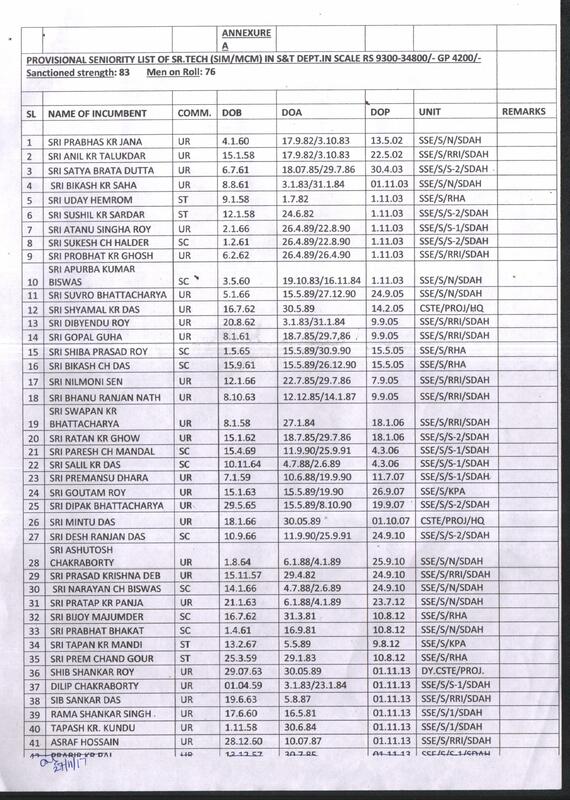 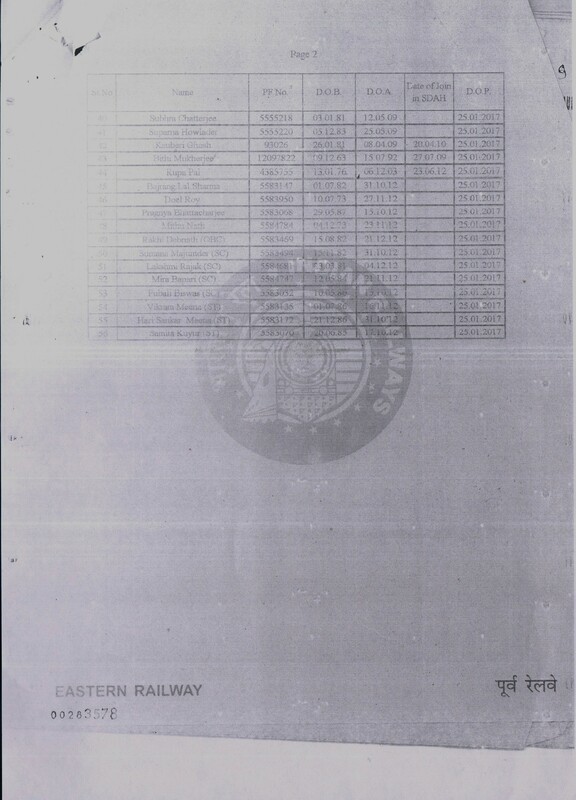 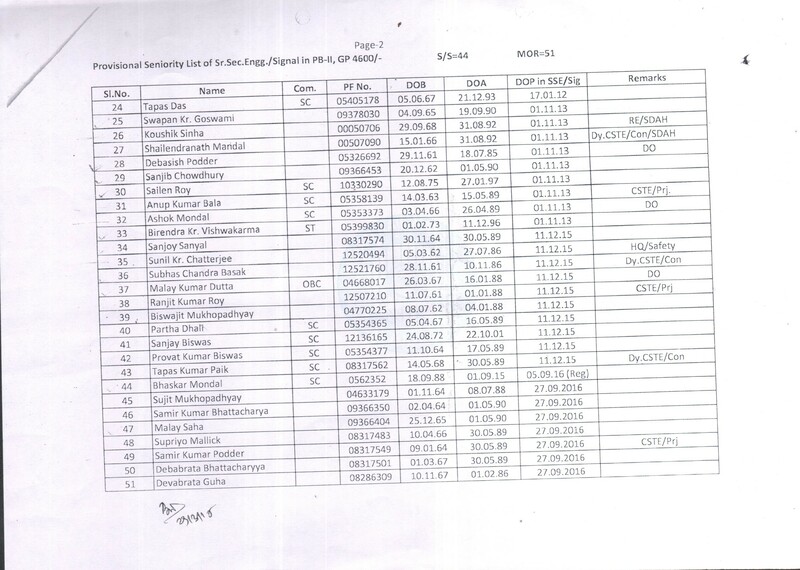 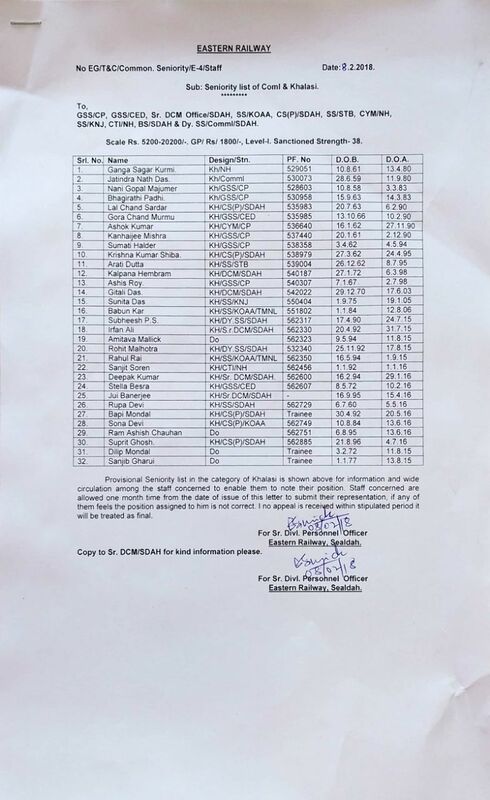 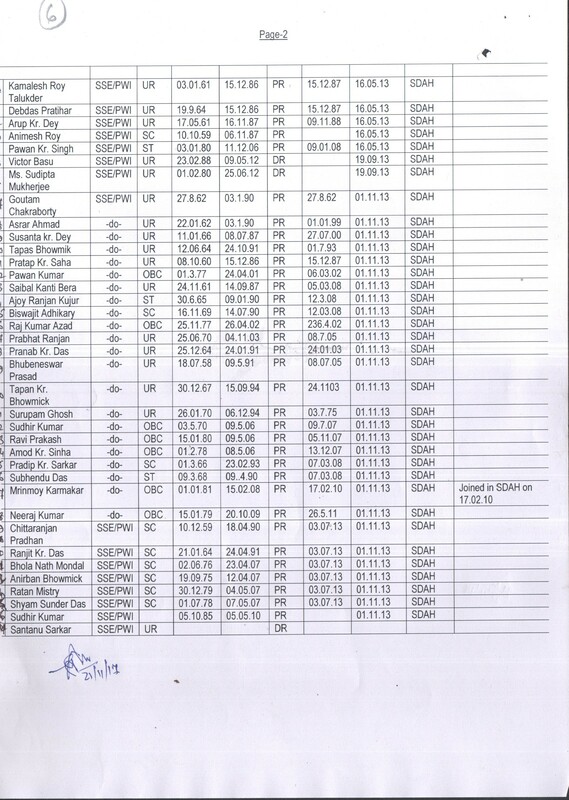 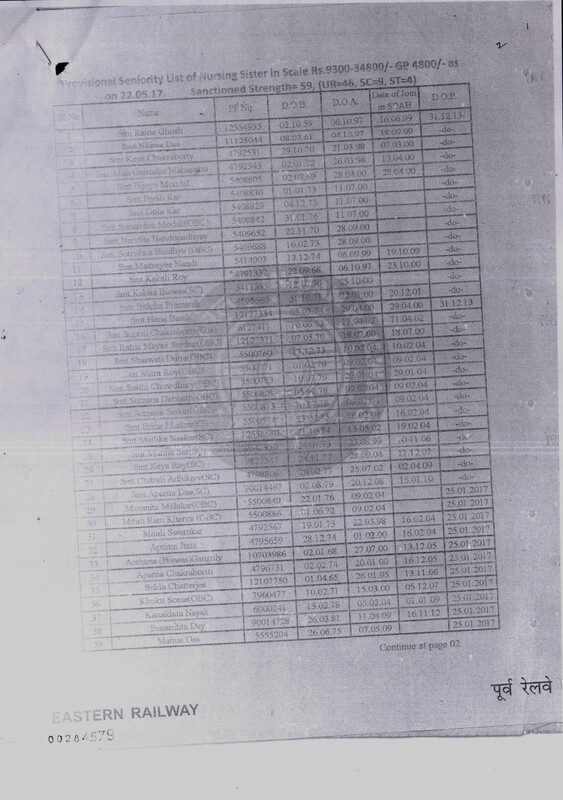 Seniority list of Matron & Nursing sister under Medical Dept.